Patagonia, in Southern Argentina, is the source of delicate beauties of the agate world. Patagonia, remote and harsh desert, it home of agates that have the beauty of lovely flowers. 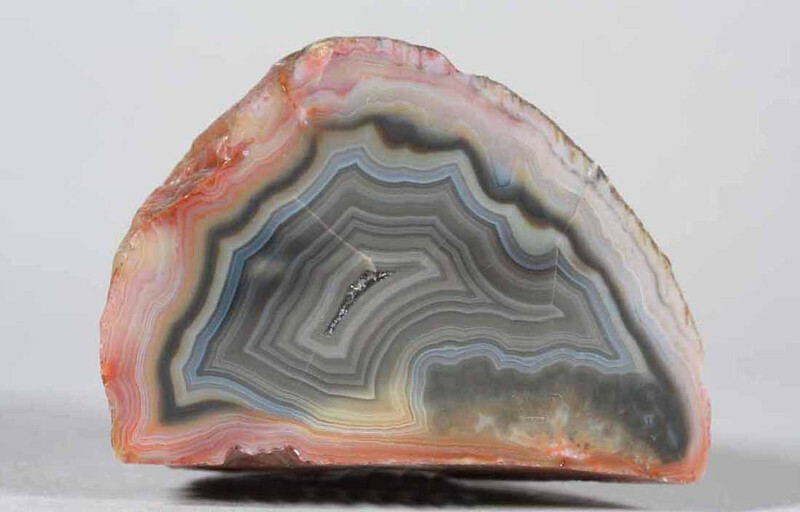 Although there are two hairline fractures, much more visible in a photograph like this than in the hand, the fortification and interesting color events make this a very beautiful specimen. All agates in the sample galleries have been SOLD.